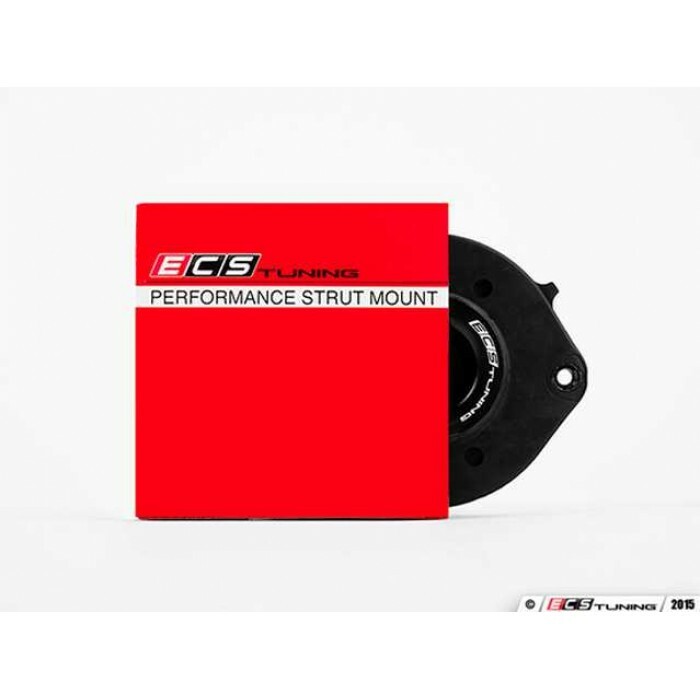 The ECS Tuning Performance Front Strut Mount offers significant performance to your vehicle's handling and long term durability as compared to stock strut mounts. With the increased durometer over stock, the 75A durometer rubber strut mounts will better resist deflection and premature wear that commonly plagues the OE strut mounts. This is a must have if you are installing sport springs or coilovers. OEM strut mounts are known to wear within a very short lifespan, typically associated with annoying squeaks and groans as the vehicle goes over bumps and slow speed turns. The ECS Performance Strut Mounts are made to last, with increased durometer and a black E-coating that protects against salt and corrosion. Designed in house by our ECS Engineers and subjected through rigorous real world, on the car testing and salt spray analysis, we are pleased to offer a high quality, performance strut mount for your VW or Audi.